Aurora will be four years old this coming May. Yesterday she produced this work of art and, with her mother and father, I too, am proud of this little girl's accomplishment. It has been almost a month now since she began printing her name. Up until now, I have only seen her do the first name, but in this picture she has put down the whole thing and that is totally cool. 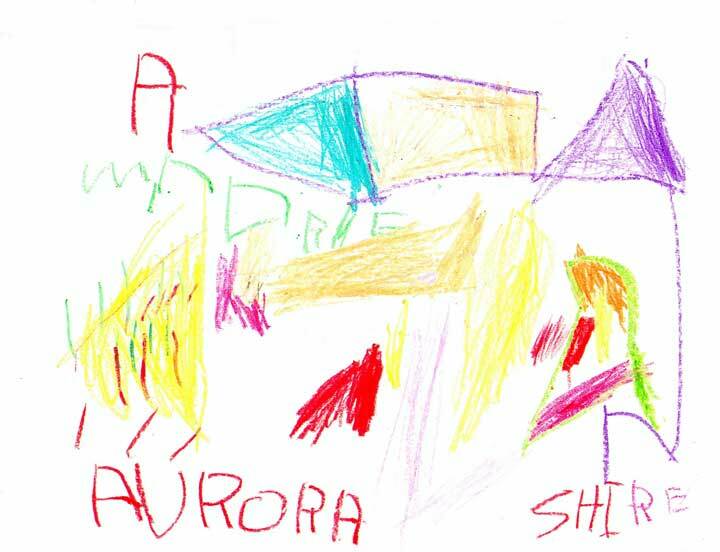 Aurora has been exposed to drawing, colouring, painting and fine movement hand eye stuff all of her life. 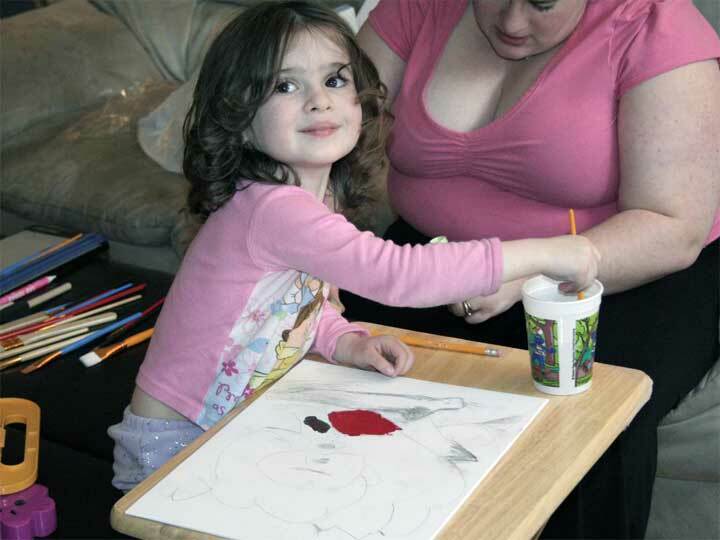 Her mother is an artist and has made sure the little girl has the materials she needs to follow her inclination. One of the things we learn about children is that "talent" is often way over stated. In most cases children need only to be exposed to things and given the encouragement to develop their creativity. This is not just true of art work but with music as well as it has been well researched to find that children who get large doses of music and it apparently doesn't matter much what kind of music, develop the ear that allows them to get personally involved in this art form. Aurora goes to dance class every Wednesday evening and is superbly proud of each step and move she is developing.